The plan is the Trump administration's latest move to limit the eligibility of migrants for asylum in the United States. 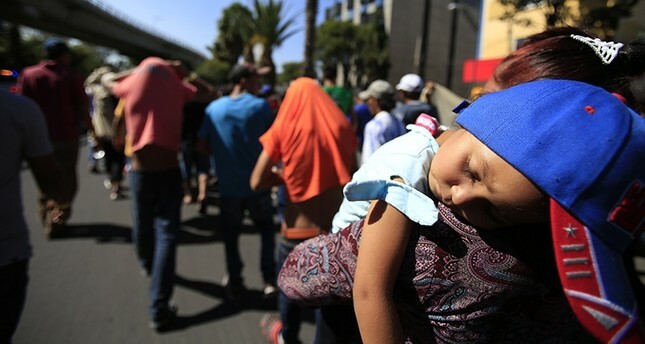 The regulation would largely affect migrants from Central America's Northern Triangle - Guatemala, Honduras and El Salvador - who cross the U.S. border with Mexico to flee violence and poverty in their home countries. "The vast majority of aliens who enter illegally today come from the Northern Triangle countries, and large portions of those aliens assert a credible fear," the regulation's text says. "Channeling those aliens to ports of entry would encourage these aliens to first avail themselves of offers of asylum from Mexico." Immigrant advocates quickly denounced the administration's move. "U.S. law specifically allows individuals to apply for asylum whether or not they are at a port of entry," said Omar Jadwat, director of the American Civil Liberties Union's Immigrants' Rights Project. "It is illegal to circumvent that by agency or presidential decree."